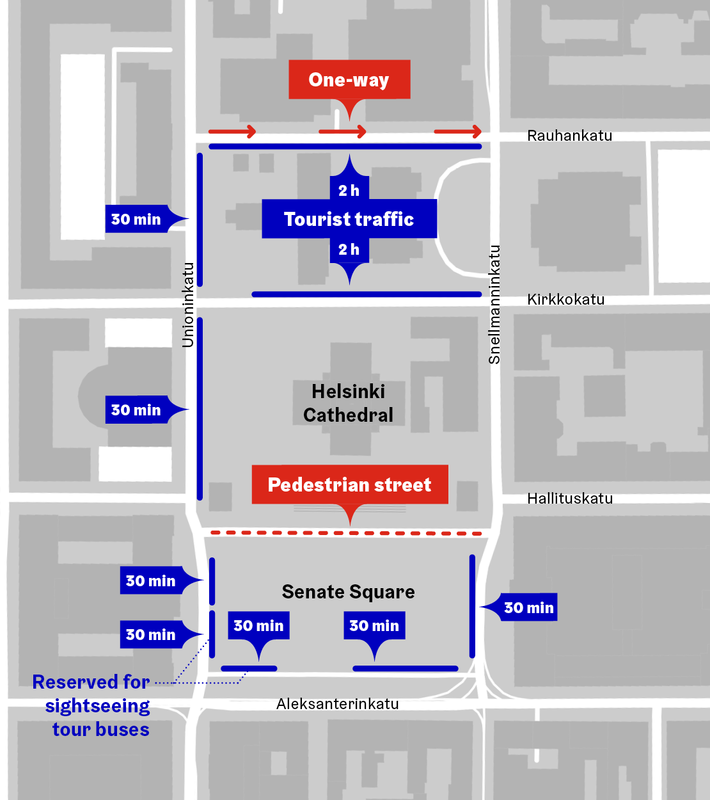 Parking fees are charged on nearly all streets in the Helsinki inner city on weekdays and in the business centre also on Saturday. Parking is allowed only in marked parking spaces. The inner city is divided into two parking zones. Parking fees range from 2 to 4 euros per hour. Parking fees are usually charged from 9–21 Monday to Friday in the inner city. On Saturday, parking fees are charged in Zone 1 and from 9–18 in some areas of Zone 2. It is good to always check the chargeable times on the traffic sign as some of the parking spaces in the city centre are chargeable on Sundays and holidays as well. Parking fees can also be paid on the mobile phone. Unjustified parking fines can be contested. Resident and business parking permits entitle holders to park in resident parking spaces. Park & Ride is smart way to journey in the city. The Finnish Transport Safety Agency Trafi can issue disabled parking permits for physically disabled persons and for their transport. The City can remove vehicles parked wrongly or interfering with street maintenance. The Public Works Department’s car hotels are a convenient way to store summer cars over winter.